Best CFA Review Courses + Big CFA Discounts - Guaranteed to WORK! Let Me Find the Right CFA Course for You! I want to help you find the best CFA prep course for you, so I've provided my analysis of popular CFA study material. I've also incorporated into this comparison the experience of my readers and comments from financial analyst forums. ​Finding the Best CFA Study Material for You! Does CFAI Provide Review Materials? Do I Really Need a CFA Review Course? How Much Does a CFA Course Cost? Is Wiley the Best CFA Course? Is Schweser CFA Worth It? In 2012, Wiley acquired Elan CFA Guides, which were then integrated into the state-of-the-art Wiley CFA learning platform. The Platinum package utilizes a variety of avenues to teach the content. It includes practice questions, mock exams, videos, and virtual courses. Additionally, candidates will appreciate a condensed CFA cram course to review material in the days leading up to the actual exam. The Wiley videos are very well done. ​These videos feature star instructors Peter Olinto and Basit Shajani. The Wiley CFA practice questions are ​tougher than most. Therefore, they will prepare you well for any curveballs you may experience on the real exam. Before you buy, you can explore the course by signing up for a 14-day free trial. And once you've purchased the course, you don't have to worry about your materials expiring while you study, thanks to the access until you pass guarantee. Also, ​no matter how many times you take the exam, you only have to pay for the course once. ​While we would not call this course "cheap" by any means, the Wiley CFA package offers many exceptional features which we feel is an awesome value. ​For candidates with a background in finance, the material presented in the Wiley course may seem like overkill. However, depending on how thoroughly you would like to review the content, this may end up being a benefit. Wiley CFA Review is an excellent choice for candidates who need a more comprehensive CFA study program. We highly recommend it because of the professional instructors who teach the basics and beyond. Additionally the value can't be beat, and the reassurance from free trials and unlimited access is quite nice too. Schweser CFA is ​one of the most established brands for CFA test prep in the industry. While they are often viewed as the best CFA prep provider, Schweser isn't for everyone. Schweser's CFA study material fully integrates its lectures with notes. Additionally, the course includes a highly regarded Qbank (practice questions), videos, mock exams, and access to lecturers. The Schweser notes are clear and concise. And their summary ​is just the right length and depth for most candidates, regardless of finance background. This course includes ​the most practice exams of any of the providers we examined. With so many mock exams available, you can get comfortable with the format and functionality of the exam before you​ actually have to take it! Stanley is Schweser's unique tool to help guide your studies and navigate the breadth of materials available in its program. While the Schweser course has a lot going for it, it also has the highest price on the market. Additionally, the price can climb even higher depending on what add-ons you include (in-person classes, WindsorWeek, etc.). ​Because this course also doesn't have the best policies or guarantees, ​it may be hard to justify such a large expense. ​The notes and video content, while easy-to-understand, teach the concept at a very high level. Therefore, some candidates may not have enough granular information to really learn the concepts. The Schweser course isn't the most gracious. There is no free trial, no pass guarantee, and no extended access for retakers. Schweser CFA is ideal for busy candidates who have a decent knowledge of finance and prefer to study ​concepts at a high level. AdaptPrep CFA is a relative newcomer who packs a lot of value into its affordable courses. Though not the biggest bank of questions available, the AdaptPrep CFA study material has more than enough questions for you to build your confidence with. The AdaptPrep course has one of the lowest price points around. Because the course is good quality, this means you're getting a real deal, not sub-par prep. This useful study tool contains all the formulas you'll need to memorize. As you answer practice questions, the course adapts to your performance and becomes more challenging so you can ​hone your skills and make sure you have a deep understanding of the concepts. ​The video lectures can be informational but not necessarily the most interesting to watch. So, if you need entertaining and engaging lectures, this course may not cut it. Despite the advanced technology, this course doesn't come with all the bells and whistles that Wiley CFA does. AdaptPrep CFA is good for CFA candidates who have a decent knowledge in finance and prefer a more automated and adaptive study process. It is also great for those who are on a budget. Because of its superb price point, AdaptPrep is most likely best for someone supplementing the CFAI study materials. Formerly 7City Learning, Fitch CFA o​ffers a variety of different add-ons and options for candidates. So, if you need an in-person class or online learning, this option has you covered. ​We found that the Fitch videos were helping in breaking down the concepts in an understandable and engaging way. So, Fitch videos may be a better option for some candidates than the ones included with Schweser. With this one-of-a-kind guarantee, Fitch will cut you a check if you don't pass (conditions apply). Called Fitch Learning Cognition, this component of the online portal affords candidates a truly adaptive learning experience. FLC assesses your strengths and weaknesses and steers you toward the topics you need to work on. ​Fitch's CFA prep suffers from the same problem as Schweser -- it can, at times, be too high level and not present the granular details needed to learn the concepts. There have been instances in which classes are canceled last-minute due to low enrollment. To be honest, I can't really think of one particularly good reason to recommend Fitch. But they are decent at everything, so they might appeal to you. The CFA is one of the most (if not the most) daunting professional exams. On top of that, the knowledge required builds from Level 1 to Level 3, so candidates have to make sure they understand all concepts. ​Most candidates likely would agree that Wiley CFA has some of the best videos, notes, and practice questions. 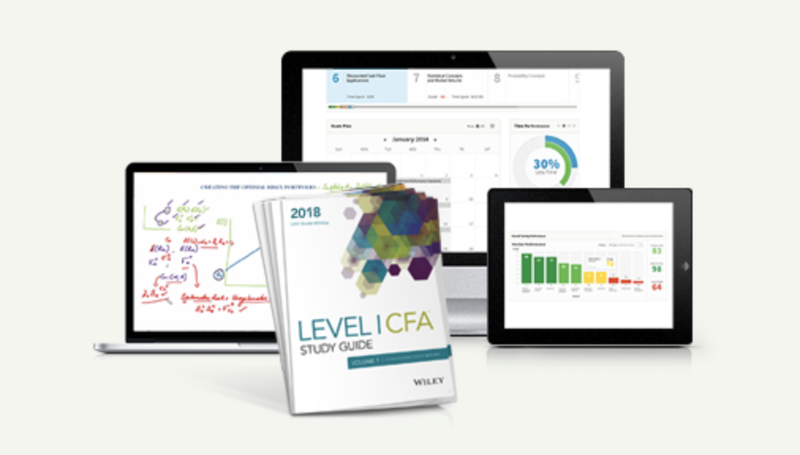 The Wiley CFA study material combines these top-notch resources together with access to lecturers, a free trial, and an access until you pass guarantee, all in one nice, neat package. The Wiley brand isn't as big as Schweser, but hey, that's why it is more affordable, for now at least. So, if you want a high quality course with lots of perks that's also affordable, Wiley CFA is the course for you! For many of us, watching a video ​to study just sounds wrong. After all, we traditionally associate videos with entertainment. Yet, the video lectures you’ll find in many CFA prep courses can actually help you learn a lot of important CFA exam content. CFA video lectures also enable you to process information faster and retain it longer, deepen your understanding, engage with concepts more enjoyably, and have more convenient study sessions. Therefore, CFA course video lectures are an invaluable study resource. And thankfully, every CFA review course includes them. As you can see, the number of CFA course video lecture hours varies greatly. And while quantity does not always go hand-in-hand with quality, in the case of CFA course video lectures, it does. Not only do the best CFA video lectures on the market come with plenty of hours, but they also offer exceptional content coverage and professional production. That’s because Wiley CFA Review is the producer of the best CFA course video lectures. Though Wiley CFA Review ​may not supply quite as many video lecture hours as Fitch (we don't quote an exact figure for Fitch, but it's one of the highest), the video lectures ​Wiley CFA has created are the most successful. These videos feature Peter Olinto and Basit Shajani, some of the biggest stars in accounting and financial certification exam prep. Furthermore, they cover the CFA exam content extensively. Wiley CFA Review tends to go overboard with content coverage, but packing so much into the video lectures is great for auditory and visual learners, so the coverage levels are a positive in this case. With such educational CFA course video lectures available, you don’t have to feel guilty about enjoying a video during your CFA exam study sessions. The CFA exam covers an incredibly broad range of topics, and it can seem almost daunting to learn so much material.The CFA exams contain hundreds of questions about hundreds of topics. So, the exam questions could ask you about anything relating to those topics. ​The best way to ensure you know the concepts well is practice, practice, and practice! That's why we love the CFA Qbank! A Qbank is a collection of practice questions that represent those you may see on the CFA exam as realistically as possible. (Qbanks usually include questions from ​previous CFA exams.) ​Using a Qbank ​provides you with more exposure to the exam content, opportunities to improve weak areas, and familiarity with the testing environment. With a large Qbank, you can also decrease the chances of memorizing the questions. The Wiley CFA Review Qbank features an impressive amount of practice questions. Wiley’s Qbank has more than 5,500 practice questions for the Level 1 exam, more than 2,300 for the Level 2 exam, and more than 1,500 for the Level 3 exam. Furthermore, Wiley’s questions recreate the difficulty level of the CFA exam questions better than any other. These questions are pretty tough, so they’ll help you hone your skills and increase your confidence for exam day. If you want to drill questions and get comfortable with the exam, you should invest in the Wiley CFA Review Qbank. If you have never taken a CFA examination before, you may be scratching your head trying to figure out the format and how the test operates. ​​So, if you don’t know how the exam looks and operates, feeling 100% ready for the first exam can be tricky. Thankfully, CFA course mock exams help you reach that level of readiness by introducing you to the exam format and functionality before you sit for it. With mock exams, you can be totally familiar with the L1 CFA exam ahead of time. ​Failing the first exam can set your CFA certification dreams back a few months, you want as many mock exams as you can get your hands on before exam day. And while the quality of the mock exams found in each CFA review course is comparable, the amount differs noticeably. Therefore, the best source of CFA course mock exams is Schweser CFA Review. When it comes to mock exams, Schweser CFA Review has got you covered. Schweser supplies more CFA course mock exams than any other provider. And, Schweser doesn’t just provide a good number of mock exams for L1. No, they keep the mock exams well-stocked all the way through to L3, with ​4 mock exams for each level. That means you can use the L1 mock exams to start your CFA journey off on the right foot with advanced testing experience knowledge. And, you can use the L3 mock exams to end your CFA journey on a high note with a perfected testing performance. Failing to take a mock exam before the CFA exam is a bad strategy. Taking as many mock exams as you can before the CFA exam is a good strategy, and Schweser CFA Review has the most mock exams of any course. ​The best way to become a CFA​ is to use your study time effectively, and you can do this by monitoring how productive you are being. With CFA course performance tracking, you can monitor your study progress all the way up until exam day. You can keep track of your weak areas so you can strengthen them as you go. And finally, you can be absolutely sure that you’ll be ready for your exam in time. With performance tracking, you don’t have to leave any part of your exam preparations to chance, and you can make every study session more effective. Courses that offer adaptive technology take performance tracking to the next level. Adaptive technology means that the course adjusts to your learning style and study progress. If you’re failing to comprehend a concept using one particular study material, the course will recommend an alternative resource to aid your understanding. And as you answer practice questions, the course will serve you harder questions on topics you’ve mastered or easier questions on topics you’re struggling with. AdaptPrep CFA Review offers all this and more, so it delivers the best CFA course performance tracking. With its dynamic difficulty, AdaptPrep CFA Review increases the difficulty of your practice questions as you perform better. In doing so, AdaptPrep helps you deepen your level of comprehension with the exam content. Furthermore, it also helps you optimize your time management. Additionally, AdaptPrep features predictive analytics that predict your preparation levels. Specifically, the Topic Mastery system helps you identify your strengths and weaknesses so you know everything you need to know to pass. For candidates who come to the CFA exam with a lot of questions about how to study and how to maximize their preparations, adaptive technology can be a real life-saver. And you’ll find exceptional adaptive technology in AdaptPrep CFA Review. CFA pass rates have historically been quite low. Because the CFA exam is such a challenge, you might fail one level. Or, because testing appointment time is so limited, you might take longer to pass than you’d planned. No matter the reason, if you need more time with your CFA review course, you’ll want your course to come with extended access and regular updates – at no extra cost. To let you know whether or not they can meet your wishes, CFA review providers enhance their courses with certain policies and guarantees. A pass guarantee means you only have to pay for the course once no matter how many times you fail. An access until you pass guarantee indicates that your course will always be up to date until you finish the exam. With course perks such as these, you can have complete peace of mind on your entire CFA journey. As most CFA review courses do include some kind of pass guarantee and access until you pass, getting more specific helps us narrow down the best course circumstances. Some CFA course providers require candidates to meet a certain set of conditions before the providers follow through on their guarantees. Usually, these conditions are not too hard to meet, so candidates should just keep track of these conditions and check them all off before taking the exam, just in case. However, other CFA course providers have limitations on their guarantees, such as only extending course access one time. As candidates can’t control these limitations and may be greatly inhibited by them, these limitations merit more hesitation when recommending such courses. Therefore, Wiley CFA Review has the best CFA course guarantees and access lengths. With its hassle-free course policies and guarantees, Wiley CFA Review really is the most considerate of candidates who may face undesirable changes to their CFA exam plans. First, the Wiley pass guarantee promises that their course has no expiration dates. All course repeats are free. Second, Wiley’s “Your Partner Until You Pass” Guarantee specifies that there is no fine print for content updates and software upgrades. These services are also free, you don’t need to submit any paperwork, and you can retain your notes, practice tests, and metrics when you re-take the course. Only one course is committed to giving you the flexibility, convenience, assistance, value, and stress-free situation you need to pass the CFA exam. And that course is Wiley CFA Review. The CFA Institute (CFAI) is the organization that creates the CFA exam and awards the CFA designation. The CFAI has established expectations for what candidates should know in order to pass the CFA exam. The CFAI bases the curriculum for the CFA exam off these expectations, known as the Candidate Body of Knowledge. Once a candidate has registered for the exam, the CFA Institute provides the candidate with online access to the curriculum readings (if you want the print versions, you’ll have to pay $150). If a candidate fails a level of the CFA exam and the CFAI permits that candidate to sit for the exam again in the same year, the CFAI won’t send the candidate another curriculum. However, if the candidate sits for the exam again the next year, the CFA Institute will send the most recent version of the curriculum to the candidate, as the curriculum may have changed. Because the CFAI supplies candidates with the curriculum, you don’t necessarily need anything else to prepare for the exam. Therefore, some candidates rely solely on the CFA exam curriculum to study. However, many candidates find the curriculum to be a bit overwhelming and fairly boring. Furthermore, the curriculum does not include practice questions, mock exams, or performance tracking. For this reason, 70-80% of all candidates supplement the curriculum with a complete CFA review course so they can study more effectively and efficiently. 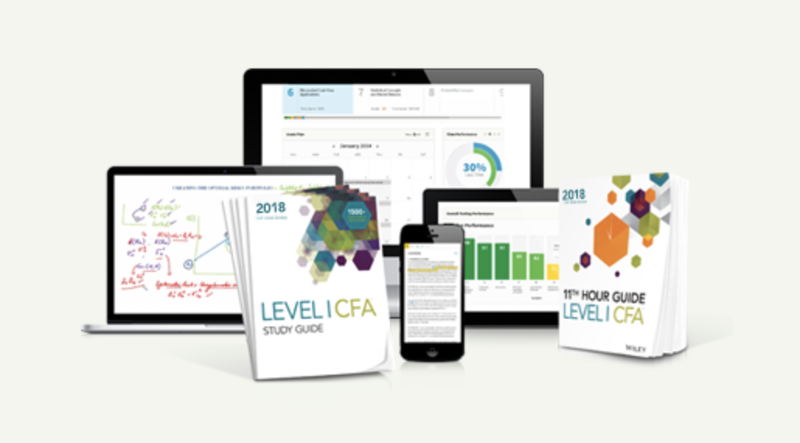 A CFA course is an comprehensive educational tool used to study and review the CFA exam content that candidates can use to prepare for the CFA exam. Some CFA review courses are a series of live classes you attend in person. However, many CFA courses are online resources that allow candidates to study for the CFA exam on their own time and at their own pace. You can use a CFA course along with the CFA exam curriculum. But, CFA courses incorporate the entire curriculum, so you don’t necessarily need to refer to the curriculum when you have a CFA course. In theory, no. You could use just the CFA exam curriculum by itself. But, with the CFA exam pass rates averaging 48%, it’s not worth the risk. Especially if you’re not super familiar with every exam concept, you should supplement with a CFA review course. Moreover, if you’d like to ensure that you know the exam content as well as needed, you should use a CFA course. And finally, if you want to preview the testing experience in advance so as to minimize exam day surprises, you must interact with a CFA review course. Thankfully, to make the purchase of a CFA course worth your while, review providers fill their course offerings with a variety of materials designed to address your learning style and strengthen your weak areas with the exam content. For example, online CFA courses almost always include books, whether digital, physical, or both. They also contain a Qbank, which is full of practice questions replicating those on the real exam. CFA courses may also have mock exams so you can refine your testing tactics. These days, many CFA review courses even boast performance tracking and/or adaptive technology. Learn all of the exam content prior to taking the exam. The CFA exam covers a lot of financial information. And while the CFAI does provide the CFA exam curriculum, that curriculum is pretty static. You should read it, but if you’re not a linguistic learner, you may struggle to get the concepts to stick in your head. You may also get bored with the books very easily. But with a CFA course, you get access to a variety of different study materials, such as videos, books, question banks, mock exams, and more. These study materials enable you to experience more personalized study sessions that address your learning style. Furthermore, mixing up your materials helps you stay focused on your studies and solidify your understanding. Consequently, the more study materials you have available to you, the more chance you have of being totally prepared for each exam and passing them the first time. Deepen your knowledge levels and sharpen your skills. Another benefit of having many study materials at your disposal is the opportunity to take your knowledge and skills to the next level. If you just read the curriculum, you’ll see the same information over and over again and won’t be challenged like you would on the exam. However, with a CFA review course, you can use the practice questions and mock exams to test your comprehension in advance and strengthen your weak areas. With performance tracking and adaptive technology, you can make sure that you’ve mastered the tricky topics and are ready for any question about any subject area. You can also interact with the exam format prior to exam day, which gives your confidence a major boost. Enjoy exam support in the form of live online classes, instructor help, or study forums. The CFA exam is long and extensive. Finishing all 3 parts can take candidates an average of 3-4 years. But you don’t have to go through that entire journey alone. When you purchase a CFA course, you’ll get assistance from your review course provider for as long as your course access lasts. Some providers offer live online classes that you can join when you need an interactive educational environment. Other providers help you get the student-teacher experience with instructor help. And still others host study forums in which candidates can ask each other questions and use teamwork to understand exam topics. When you’re going through multiple exams over multiple years, such support systems are invaluable for keeping you focused and encouraged. The popular CFA course providers have a CFA course for each level of the exam. Therefore, you’ll have to buy 3 CFA courses. The review providers give you the option of purchasing their most basic courses, which usually include study guides, practice questions, mock exams, performance tracking, and, occasionally, short videos. These courses can cost anywhere from $149-$695. On the other side of the spectrum, you have the complete course packages. These are full of study materials like in-depth video lectures, live webinars, virtual classes, formula sheets, study planners, even more practice questions and mock exams, cram courses, and more. The price range for these packages is $299-$2,598. As mentioned, you have to buy courses for each exam level separately. So, to get courses for all 3 levels, you’ll pay somewhere between $447-$7,794. And that doesn’t include any course supplements you may want to purchase, which can cost as little as $45 to as much as $395. Clearly, preparing for the CFA exam will end up costing you quite a bit of money. But it can cost you less when you use discounts to get a great deal on your CFA exam prep. Learn more about our CFA course discounts to see how much you can save. Wiley CFA Review is our top choice for a CFA course because Wiley offers awesome features at an amazing price. One reason why Wiley stands out is its quality video lectures. The Wiley videos are super easy to follow and feature thorough, captivating instructors. Furthermore, the Wiley practice questions represent the real exam questions exceptionally well. By being tough and well-thought out, Wiley’s questions accurately recreate the difficulty of the CFA exam. Another way Wiley distinguishes itself is by providing a free trial and candidate-considerate guarantees. When you study with Wiley CFA Review, content updates are always free and course access lasts until you pass all 3 exam levels. Finally, the Wiley course comes in at the best value on the market. While not the cheapest, this course offers a lot of savings over the most expensive courses, and it’s still packed with premium study materials. When you save ​with our exclusive Wiley CFA discount, ​you can get even more bang for your buck. And if you don’t need as many review resources because you’re already very familiar with the exam content, you can rely on Wiley’s famous 11th Hour Guide instead. This course supplement is more detailed than Schweser’s Secret Sauce. And so long as you answer all the questions for each reading until you consistently score 70%, the 11th Hour Guide will be all you need to succeed. So, if Wiley is so great, then why is the price so low? For now, Wiley maintains its value to stay competitive in the industry. When Wiley acquired Elan, Wiley applied its high-tech online platform to an already low-cost course, which allowed Wiley to combat the monopolies of bigger providers. Now, CFA candidates can take advantage of a great tool at a great price. Wiley works great for candidates who need engaging, thorough instruction through videos and a solid set of tough practice questions. But when you consider that Wiley has it all (everything already mentioned plus detailed instruction, study notes, an interactive study planner, performance tracking, live virtual classes, and more) Wiley gets our highest recommendation. To determine whether Schweser is a good CFA course choice, we must first acknowledge that Schweser is the leader in the CFA review industry. In the past, Schweser acquired a few different companies and built a bit of a monopoly, which up and coming competition has only recently challenged. Then, we must mention that Schweser is the most expensive course on the market. So, are you paying for the brand name? Or are you really getting the best CFA review money can buy? Well, other than a well-known name, Schweser does have a few other things going for it. For one, the notes and videos in Schweser’s courses are very precise. They summarize the information in the CFAI curriculum, and for some, this brevity with the content makes studying more bearable. Furthermore, as far as we can tell, Schweser supplies the most mock exams of any course. With Schweser’s course, you get 6 mock exams for each exam level. Having so many mock exams lets you get super familiar with the exam format and really refine your testing performance. But sadly, that’s where the pros of the Schweser course end. One of the first downsides to Schweser is the lack of detail. Well-informed candidates might find the concise notes to be very convenient. But, candidates who need more basic instruction will find Schweser lacking. Furthermore, Schweser’s video lectures are not the most engaging on the market. The instructors stick to the script and don’t offer any extra insight, so the videos can be a bit dull. And of course, there are the high prices. Paying a lot for a brand name isn’t surprising. But what is surprising is the fact that Schweser doesn’t give candidates very good guarantees to compensate for all the money they paid. While other courses like Wiley shower candidates with pass guarantees and access until you pass, the best Schweser can do is give candidates who need to retake an exam level 50% off the Premium Packages. And to be honest, this is quite ridiculous, especially when no other provider has this problem. So, sure, Schweser is a good course for candidates who find the CFAI curriculum overwhelming. But because Schweser uses its big name to gouge candidates’ wallets and deny them any good guarantees, Schweser does not receive our highest recommendation. We find other courses (like Wiley) to be more worthwhile. It appears you work for (or with) Wiley and Sons, which owns Wiley Efficient Learning. As a result, your recommendation of Wiley CFA prep course is suspect. In fact, what you have done seem to be in direct violation of what I have studied in the initial ethics section. seeking for information around CFA support providers, what is your opinion? I guess most people go for Schweser becaues it’s been around for ages, but our personal preference is Wiley. Nah, I don’t. Wiley did publish a book with me on the CPA exam but it has nothing to do with CFA. I just think Wiley’s CFA platform is more nimble. If you can check out my other sites, e.g. CMA and CIA exams, Wiley is not my first choice. Great comparison! Wiley seems promising!